The United States celebrated Independence Day 1914 with fireworks, parades, picnics and speeches by dignitaries great and lesser. There was no talk about the troubles in Europe. And why should there be? The United States had only recently begun emerging as an imperial power. It waged war against Spain in 1898, acquiring colonies in foreign lands for the first time. President Roosevelt did send battleships and cruisers of "the Great White Fleet" sailing around the world, a pageant of American seapower. But the country was, by history and policy, an isolationist nation, content with enforcing its own hemisphere (except for brutally putting down a insurrection in the Philippines, one of colonies it had just taken from Spain). Back in 1870, the United States cared not one whit about the Franco-Prussian War which, as it turned out, would by 1914 make both France and Germany feel the need to renew their hostilities. Germany was eager to crush France forever; France vowed to recover the provinces of Alsace and Lorraine which were lost during the 1870 war. To that end, each side laid meticulous plans to attack the other. For now, though, France kept its plans on the shelf even with the assassination of Archduke Franz Ferdinand of Austria-Hungary on June 28, 1914. Germany, on the other hand, was awaiting the moment to activate theirs. Military doctrine called for being the first to attack, regardless of world opinion. German generals shuddered at the thought of being placed on the defensive. The English public went about their business on July 4, but in Austria-Hungary and in Germany, the march to war was beginning. That needn't have happened. Opportunities existed to avoid war but because of misjudgments and the passions of the time, none were embraced. The assassination of Archduke Franz Ferdinand on June 28 wasn't handled for what it was—a bilateral problem between Austria-Hungary and Serbia. The Austrians were furious; the assassination coincided with Serbia's National Day, and they took that at as a direct insult. They correctly believed that elements of the Serbian government promoted The Black Hand, the nationalist group of which assassin Gavrilo Princip was a member. Austria's military felt a strong response was needed. Anti-Serb riots in Vienna, Austria's capital, fueled the fire. Serbia's premier, Nikola Pasic, apparently was not among those involved with The Black Hand. On hearing of the assassination, Premier Pasic was quoted as saying, "This is very bad. It is very bad. It will mean war." The crucial mistake on the part of Austria-Hungary was its decision to consult with Kaiser Wilhelm about the situation. 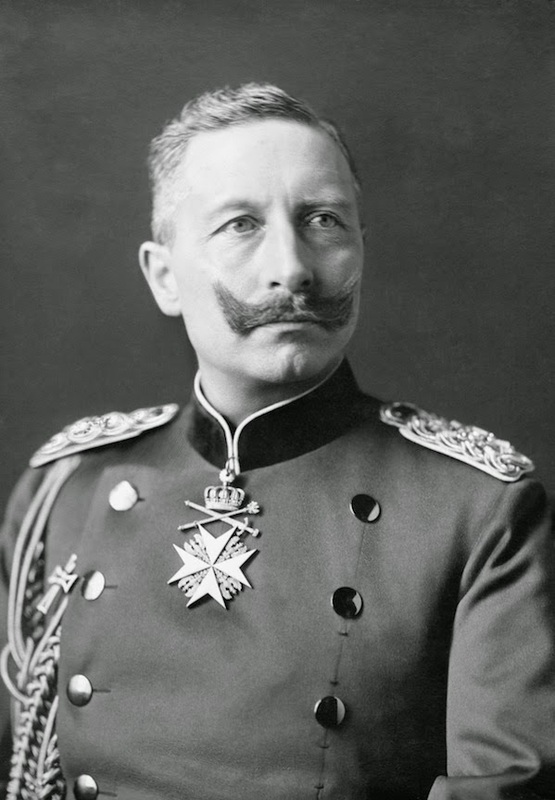 The Kaiser was a mercurial figure of sorts; his army was advocating war even before the assassination. Germany and Austria were partners in the Central Powers (along with Italy) but Germany was the most powerful partner. 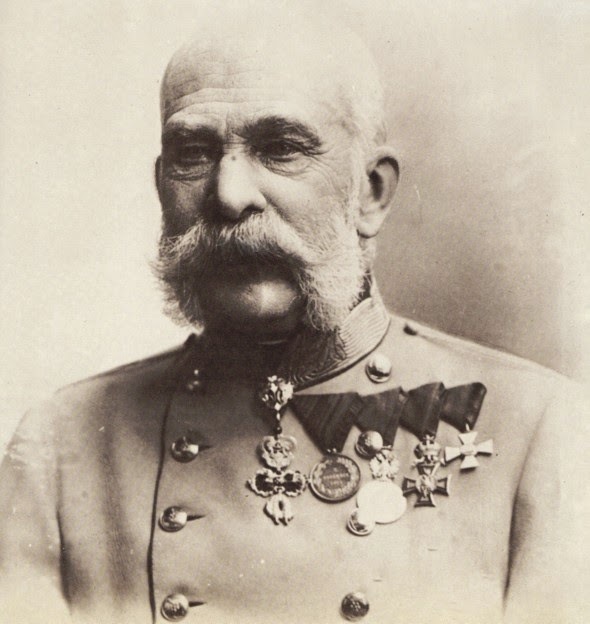 On July 5, an Austrian diplomat met with the Kaiser. Not surprisingly, the Kaiser gave Austria a blank check, saying Germany would support any action it took against Serbia, even if that meant war. Thus, a tired, old, grieving Emperor relied on the advice of an energetic Kaiser whose Army was itching for a fight. In London, death of Joseph Chamberlain, long-time British politician and statesman, dominated the news. Between 1898 and 1901, Chamberlain had tried to forge an alliance between Germany and Britain. From England's standpoint, an agreement might have dissuaded Germany from building up its Navy, the only military threat that Britain faced. Besides, the monarchs of the two countries had a familial relationship: Queen Victoria's husband, Albert, was German. And Kaiser Wilhelm was the nephew of the subsequent king, Edward. The Germans were eager for a treaty, but at each time they didn't want to appear too eager. Three times Chamberlain tried, and three times the Germans backed out. This was a major mistake on Germany's part. 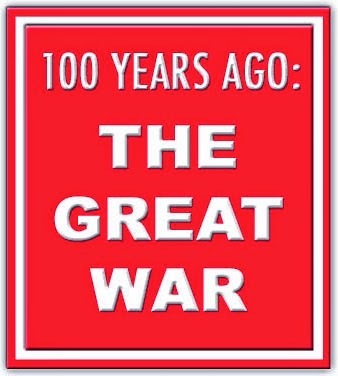 Had the Germany accepted a pact, there would have been no cause for The Great War. These were just the first missed opportunities to avoid war. There would be more to come.